Welcome to another Marvellous home located at 1 Appin Place Engadine. Embracing serenity and privacy, this delightful family home unfolds over a warm and welcoming dual level layout. Handsomely high-set to capture breathtaking views, this stylish home is perfectly situated in a peaceful and leafy cul-de-sac, this elegant family home rests beautifully amongst designer gardens and showcases interiors of extraordinary style and comfort. 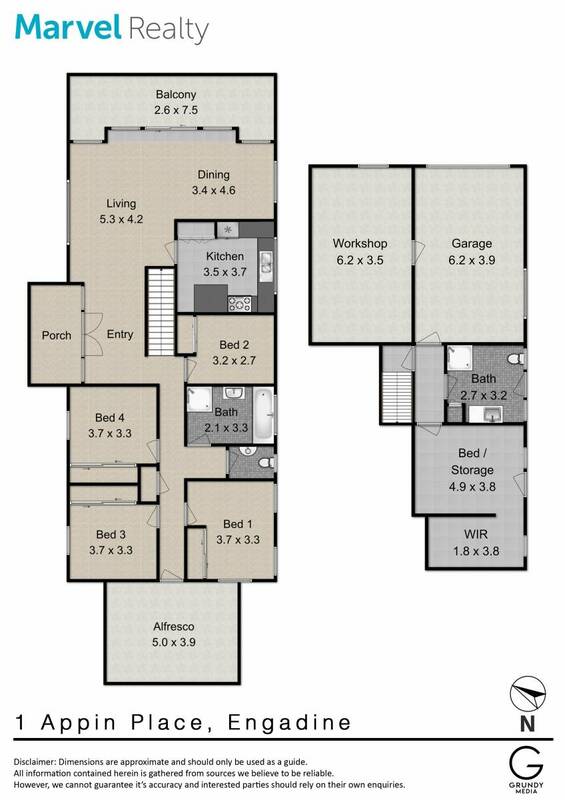 Superior vision has produced a superb home with generous proportions and a versatile floor plan whilst the dual access corner block with sweeping valley views has created the ultimate forever home. in wardrobes, bedroom located on bottom level with walk in wardrobe. + Large Internal laundry with additional toilet. for storage as well as a separate attached workshop. landscaped gardens which feature irrigation system throughout property.